Personally run by the Notten family, this no-electricity camp offers a romantic and truly authentic bush experience with breathtaking Big 5 game viewing! The lodge has purposefully not used electric lights as this allows the creation of a magical atmosphere through the use of candlelight and lanterns which give an unmatched atmosphere of romance! This simple bush camp is family-owned and run and the Notten’s are renowned for their warm and friendly hospitality! The lodge has an ideal location with some really big name neighbours like Mala Mala and Sabi Sabi – this area boasts perhaps the highest concentration of naturally occurring wildlife in South Africa! Unfortunately only children over the age of 8 are welcome at Notten's – bad news if you’re a family that is, blissful if you’re a couple wanting a quieter, more romantic experience! Only children over the age of 8 are welcome at Notten's which is bad news if you’re a family but blissful if you’re a couple wanting a quieter, more romantic experience! We tend to really enjoy owner-run lodges as so often they exhibit a genuine warmth and hospitality that can be lacking at bigger operations. Notten's is a perfect example of this - an intimate lodge personally run by the Notten family that garners almost universal praise from its guests for wonderfully personal service and superb hospitality! It’s a place that touches people’s hearts and souls and so it’s little wonder that it won the runners-up award for “Best Safari Lodge in Africa” in 2008. Notten's is certainly in the right neighbourhood as far as game viewing is concerned – in fact it’s surrounded by big name neighbours such as Mala Mala to its east and Lion Sands to the south, pointing to the quality of the game in this area. 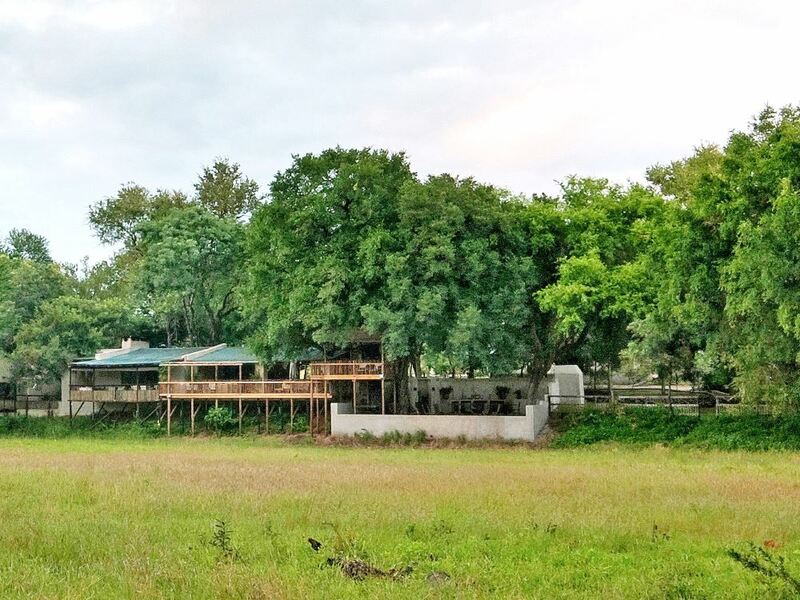 Its own property may be fairly fairly small but Notten’s shares exclusive traversing rights with Sabi Sabi and so has access to over 6000 hectares of prime game territory for game viewing. The presence of the Sand and Sabie rivers flowing through the southern section of the Sabi Sands ensures that this area enjoys one of the highest and most bio-diverse wildlife populations of any area in Africa – this remarkable natural sanctuary is known for its exceptionally high concentration of animal and bird life! You can expect to see the Big Five as well as giraffe, hippo, hyena, a variety of buck as well as the endangered wild dog just to mention a few! Originally built back in the 1960’s as a private retreat for family and friends, Notten’s retains that homely feel even today. Each of the 8 private suites are open planned and spacious with beautiful furnishings - whilst they're elegantly styled, it’s probably fair to say that they’re also a lot simpler and less cutting edge luxury than many of their all-the-bells-and-whistles counterparts in the Sabi Sands. But this ultimately is what gives Notten’s a big part of its appeal. The lodge has purposefully not used electric lights for example, as this allows the creation of a magical atmosphere through the use of candlelight and lanterns which give an unmatched atmosphere of romance! All suites have both indoor and outdoor showers and are cooled by ceiling fans rather than air-con whilst all windows and sliding doors are fitted with screens – these lead onto a private wooden deck with breathtaking panoramic views over the peaceful setting. Relaxation is guaranteed! With the lodge only accommodating a maximum of 16 people, you’re ensured of a personalised and exclusive safari experience! 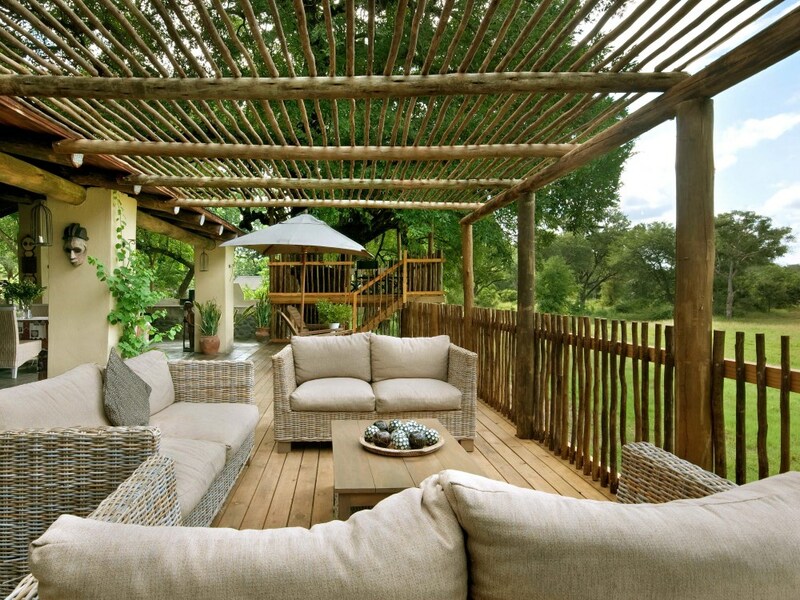 The lodge boasts splendid panoramic views and you can simply relax on your deck or at the pool with a good book whilst watching the animals meander past. Game drives are led by experienced and knowledgeable rangers in open-top Land Rovers, whilst walking safaris are also offered daily giving you the opportunity to discover the hidden treasures of the region while being guided on foot – there's nothing as invigorating or adrenaline-filled as watching Africa’s wildlife in their natural habitat out of the comfort zone of a vehicle! After the excitement of an early morning’s game viewing and delicious breakfast, you can also choose to cool off and laze next to the sparkling pool with a refreshingly icy drink, or perhaps relax on the wooden deck with a good book in the shade of the Marula trees overlooking the waterhole and the stream of game coming down to drink. The sounds of the African night set the perfect mood for dining in the enchanting candlelit boma beneath a canopy of stars! Here you can find sanctity within the natural rhythms of Mother Nature - as well as being entertained by an African choir and dancers right in the middle of the bush! Meals are eaten together which creates a wonderful atmosphere and an opportunity for you to share stories and conversation with other interesting people from South Africa and around the world! And you can look forward to delicious meals too – one of the aspects of Notten’s that is consistently raved about by guests is the great food on offer! So whilst it may not be the best known of the Sabi Sands lodges, there’s a strong case to be made that Notten’s is actually the reserve’s best kept secret! If you’re looking for a homely lodge experience with genuinely warm hospitality, deliciously mouth-watering food, simple accommodation which benefits from the romantic ambience of candles and oil lamps, not to mention stunning wildlife sightings, then Notten’s should be high up on your shortlist! Children 6 and over are welcome.